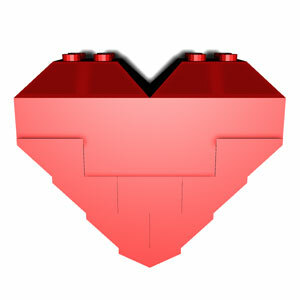 This page is for those who want the instructions to build a perfect LEGO heart. 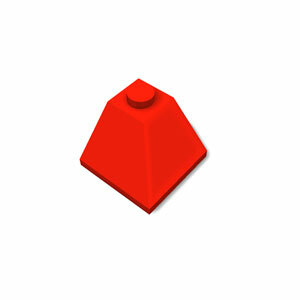 This perfect LEGO heart is an example model combining two modules. 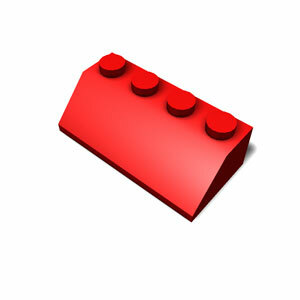 If you are ready now, let's have a fun learning to build a perfect LEGO heart. 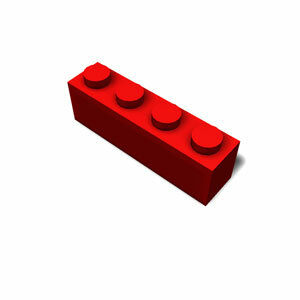 Here we will build a perfect LEGO heart. Get five 2x4 bricks (#300121) and prepare to drop one of them. 1. Prepare to drop the 2nd 2x4 brick. Here we are trying put it next to the first one. 3. Prepare to drop the 4th 2x4 brick. 4. Prepare to drop the 5th 2x4 brick. 5. Get eight corner 2x2/45° outside bricks (#4163087). Prepare to drop 1st 2x2/45° outside brick. 6. Prepare to drop the 2nd 2x2/45° outside brick. 7. Prepare to drop the 3rd 2x2/45° outside brick. 8. Prepare to drop the 4th 2x2/45° outside brick. 9. Prepare to drop the 5th 2x2/45° outside brick. 10. Prepare to drop the 6th 2x2/45° outside brick. 11. Prepare to drop the 7th 2x2/45° outside brick. 12. Prepare to drop the 8th 2x2/45° outside brick. 13. Prepare to rotate the model by 90°. 14. Get two 1x4 bricks (#301023). Prepare to put one of them to the model. 15. Prepare to attach the 2nd brick to the model. 16. Prepare to set the model aside and let us make another model. 17. 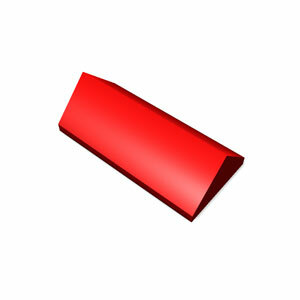 Get five six 2x4/45° roof tile bricks (#303721) and prepare to drop one. 18. Prepare to drop the 2nd 2x4/45° roof tile brick. 19. Prepare to drop the 3rd 2x4/45° roof tile brick. 20. Prepare to drop the 4th 2x4/45° roof tile brick. 21. Prepare to drop the 5th 2x4/45° roof tile brick. 22. Prepare to drop the 6th 2x4/45° roof tile brick. 23. Get one 2x4/45° ridged tile brick (#4144003). Prepre to drop this blick. 24. Prepare to rotate the model by 90°. 25. Get one 2x4 brick and prepare to drop it. 26. Get the previous model we've built and prepare to attach it to the current model. 27. Congratulation! 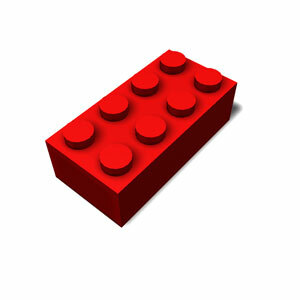 You have completed making a perfect LEGO heart. You will need thirteen 2x4 bricks (#300121) here. Here I just used single color blue for all bricks. You will need eight corner brick 2x2/45° outside bricks (#4163087). You will need six 2x4/45° roof tile bricks (#303721). You will need one 2x4/45° ridged tile brick (#4144003).